The third edition of The Global Gift Gala Madrid was celebrated in the Thyssen-Bornemisza National Museum in Madrid this March 23rd of 2018. María Bravo, chair of the Gala, along with the singer Anastacia and the actress Pamela Anderson, brought personalities from every corner of the world for an evening filled with Glamour, art, and solidarity where the children were protagonists. Maria Bravo, founder, and lead of the Global Gift Project expressed her gratitude, "Madrid is a city of solidarity. (..) Thanks to the unconditional support of our ambassadors such as Anastacia, Pamela Anderson, Father Angel, my dear friend Eva Longoria, Chenoa, Rafael Amargo and many celebrities, we have become a voice and a force that transcends continents. Last year we supported 21 causes, in addition to continuing with our Casa Global Gift project." Anastacia, who was in the role of the honorary chair during the evening showed her gratitude and excitement to be part of such an amazing project raising funds to help children all around the world. Also, María Bravo took the moment to thank the organizations that support Global Gift into being possible “Gran Meliá Palacio de los Duques hotel, which is once again the Official Hotel of 'The Global Gift Gala - Madrid', to the chef Ramón Freixa, who for the second consecutive year will design and prepare the menu for the night; and the stylist Lorena Morlote who, along with her trusted brands TERMIX and RENÉ FURTERER, has been in charge of the hair and make-up. The brand Habla has donated the wine and Luxury Spain organized all the products for the cocktail." She stated. Atletico Madrid foundation was honoured with ‘The Global Gift Humanitarian Award’ presented by the actress Norma Ruíz, defending the social commitment of personalities and entities. The Atlético Madrid Foundation received the award for its social work and its commitment to society, developing all kinds of activities for cultural and educational purposes promoting the fundamental values of sport in society, as a tool in the education of people, especially children and adolescents, contributing to their complete personal, physical and social development. "It is a real honor and a great satisfaction to receive this wonderful award. Atletico Madrid as a club, as everyone knows, has been committed to all the projects promoted by its Foundation for many years" said Enrique Cerezo, president of the Atlético Madrid club. Funds were raised during the Gala for the 3 protagonist foundations of the night, Querer Foundation, Thyssen-Bornemisza National Museum and Global Gift Foundation. María Bravo, was enthusiastic and grateful to be able to allocate the funds raised at the gala to Casa Global Gift in Marbella, the star project of the Foundation. Pilar García de la Granja, founder of the Querer Foundation, thanked for the support that Global Gift offers to them, with whom they work and share projects. The journalist highlighted the partnership forged between the two foundations through its projects the Cole de Celia and Pepe and the Casa Global Gift, with which they favor education, research, dissemination, and therapies related to children with special needs derived from rare and chronic diseases. The Thyssen-Bornemisza National Museum, for its part, is going to dedicate its funds to the Nos + Otros project in a network, created in 2015 by the Museum's education area to ensure that women at risk of exclusion can find new ways of integration and self-esteem through a laboratory of artistic co-creation. For the second year in a row, the two-Michelin-star chef Ramón Freixa contributed to the causes supported by the Global Gift Foundation by preparing the Gala menu with a marked Spanish accent in its creation and faithful to its essence. A long list of important personalities of the Spanish and international culture assisted the event, including names such as Borja Thyssen, Blanca Cuesta, Pamela Anderson, Chenoa, Margarita Vargas, Luis Alfonso de Borbón, Esher Doña and Carlos Falcó, Rosa and Natalia from Operación Triunfo I, Simoneta Gómez Acebo, Esmeralda Moya , Cecilia Gómez, Cristina Castaño, Father Ángel, Raúl Olivo or Fiona Ferrer. In addition, the event counted with the supporting performances of high level artists such as the dancer Rafael Amargo, the illusionist Jorge Blass, the singer Descemer Bueno with the singer Dama, the tenor Angélica de la Riva, who was accompanied during her performance by the National Music Award 2018 winner, pianist, Rosa Torres Pardo. And to celebrate communication, Laura of twelve years and Gonzalo of eleven were the official reporters for XL Kids, who told everything that happened through the educational station of the Gestiona Group, Que! XLKids, the only radio made by and for children. 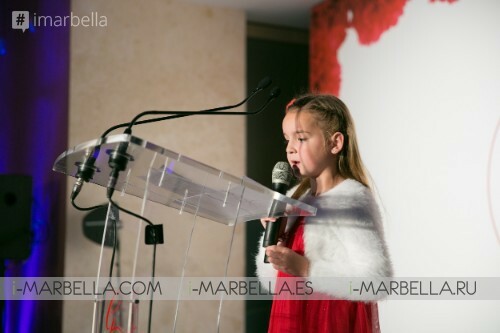 One of the most special moments of the night came from the hand of Chenoa and little Paula, who read her own story, the story of a girl who suffers from cystic fibrosis and that benefits from Casa Global Gift, her second home. One of the most important donations that were made during the Gala was intended to finance the construction of a copper-coated room for children with cystic fibrosis. 16,000 euros were obtained to start one of these rooms, of which there are currently only 12 in the world. Likewise, in order to help and improve the mobility of children with chronic neurological diseases, those attending the gala made donations to build two climbing walls in El Cole de Celia and Pepe, the solidarity project of the Querer Foundation. Global Gift Foundation is a non-profit charity whose goal is to create positive changes in development, wellness, health care and social inclusion of the most vulnerable. The Foundation helps provide shelter, food, clothing, education, medical care and other vital needs of vulnerable groups, particularly children and women in need. Created in 2013 by entrepreneur and philanthropist Maria Bravo, the foundation supports projects from different organizations around the world and has recently launched its own, Global Gift House, a multifunctional center for children with rare or chronic diseases that is located in the city of Marbella and that will shelter at least 6 non-profit charitable organizations of the zone; Adisol (Association of Diabetics of the Costa del Sol), ADAHIMAR (Social Association of Attention Deficit Disorders and Hyperactivity), CADI (Center for Childhood Diversity Care), Association against Cystic Fibrosis, Bubble, and Dreams Without diagnosis) and AMPEMNA (Association of Multiple Sclerosis Marbella / San Pedro / Estepona). 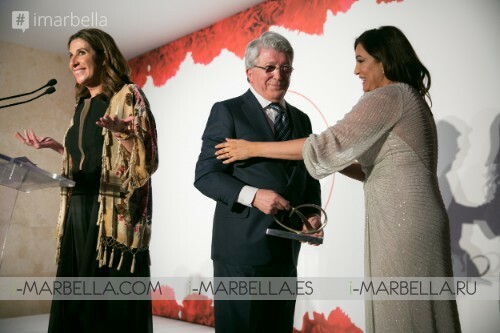 Maria Bravo doing charity in Marbella again with Eva Longoria and organising the Global Gift Gala!